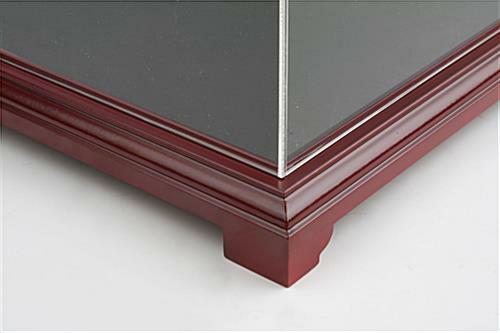 These red mahogany display cases have a rectangular design and include a removable riser for roudn objects. 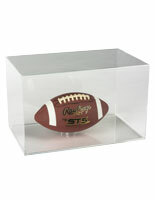 The fixtures are great for displaying footballs, base balls, model cars, antiques, collectibles and other memorabilia. 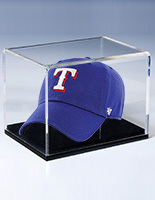 Each of the display cases has a rubber wood frame with acrylic sides and top. 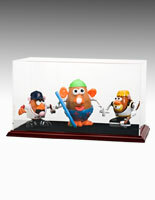 The rectangular holders measure 18"x12"x11.8" that allows them to showcase larger models and figurines. 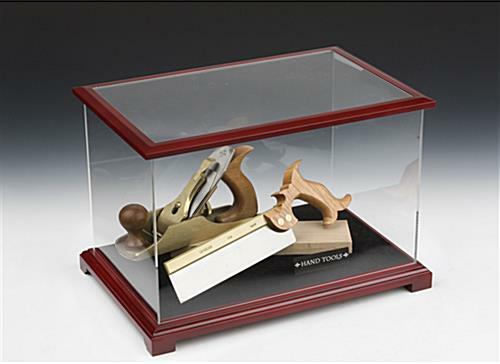 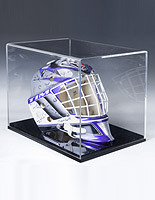 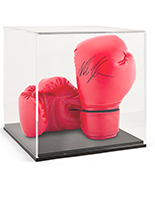 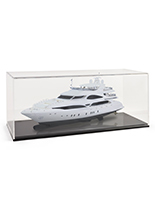 The acrylic cases protect valuable collectibles and mementos from moisture and dust. 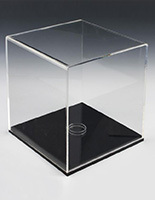 The fixtures with a removable riser have a lift-off top that is easy to open while securing items from the elements.